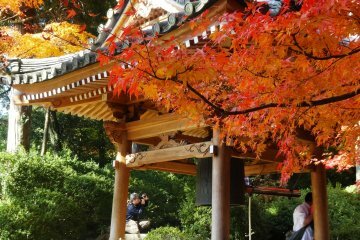 Hidden behind Dazaifu's Tenmangu Shrine, an amusement park, and the Kyushu National Museum is a lesser-known tourist site where men train their special art everyday to the point of brutal exhaustion. 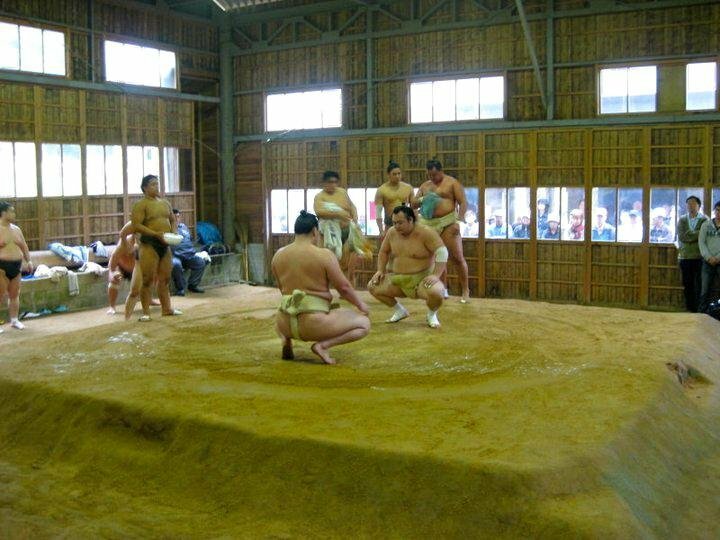 This is Dazaifu's sumo stable. 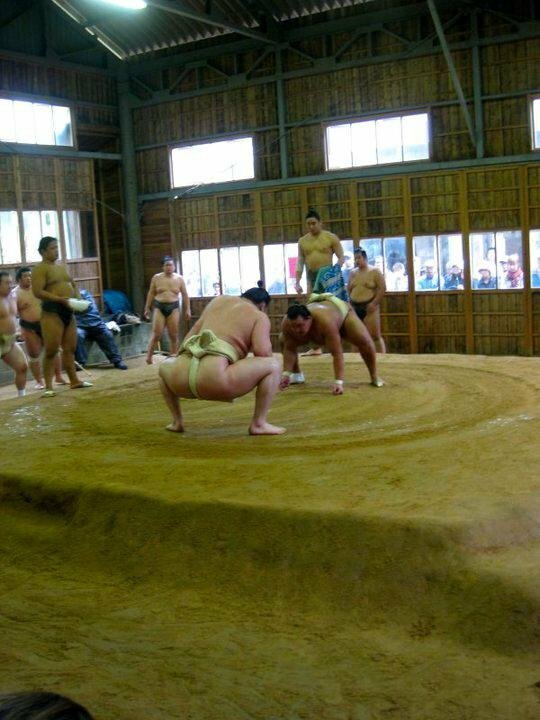 I've always seen sumo wrestling as a bit of a joke. 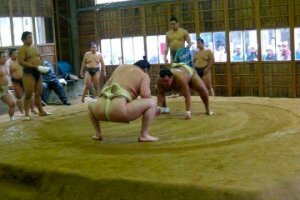 It's just a competition to see which obese man in a diaper can toss the other guy out of a ring first, right? Wrong. What I saw were men training hours and hours a day, going through incredible amounts of pain, all to build them up for those precious few seconds they have on stage to show they're the best. 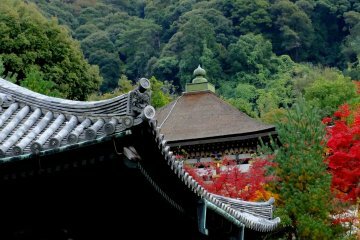 I was incredibly lucky to have been taken on a school trip to Dazaifu. 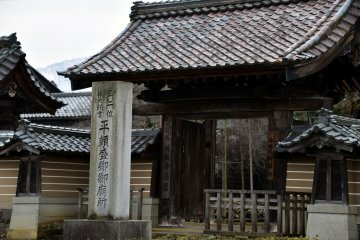 We were shown Tenmangu Shrine and the beautiful Komyozenji Garden, and then we were taken up a path to what looked like an abandoned stable. 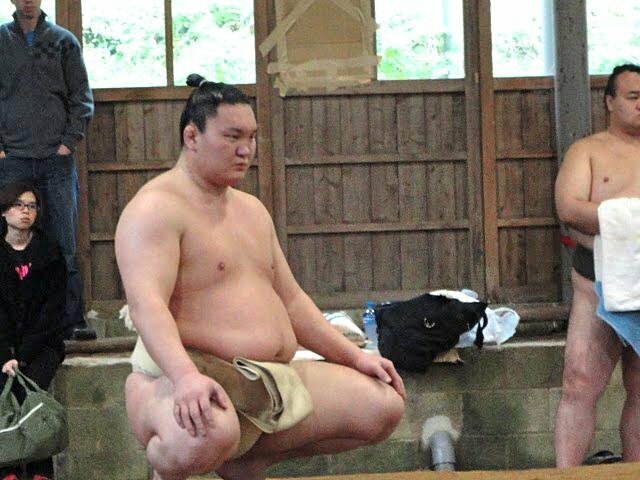 A moment later, a couple of sumo rikishi (wrestlers) walked out in lavish kimonos. Their beautifully set hair and the dramatic colours of their kimonos gave off an incredible aura of pride. 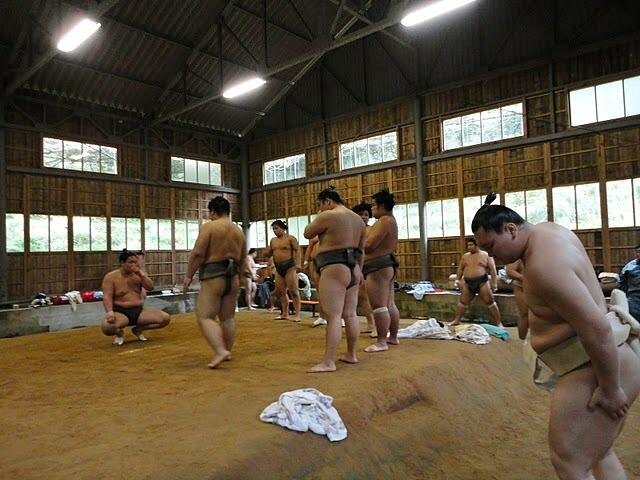 We would later find out that these men were among the top contenders in sumo. As we walked towards the stables, we could hear shouting and harsh slaps pounding through the walls. Inside, we took a seat on a bench that looked over the training grounds. It was musty and humid. The sand was damp with sweat. 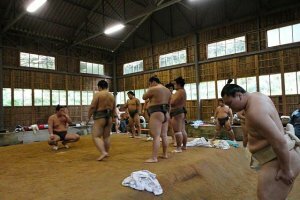 Around 15 sumo wrestlers were dotted around the stable doing various exercises. 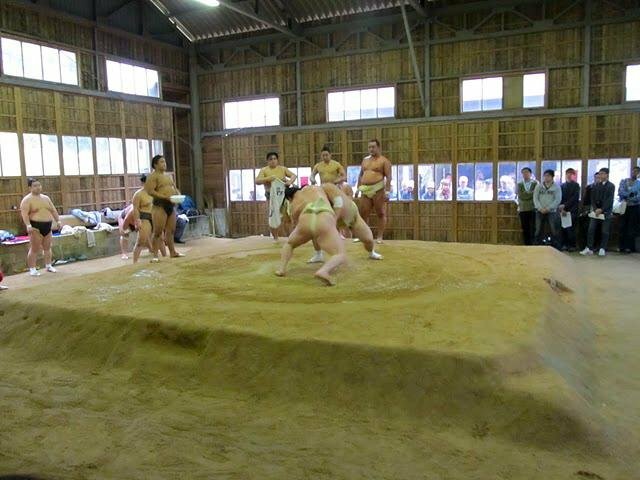 One of the exercises was a drill in which one wrestler would slam into another and try to push him across the sand until he reached the edge of the ring. It was like watching American footballers smash against blocking sleds, except these guys were doing it against each other. One alarming thing I noticed was that it was only the coach who was drinking water. Everyone looked like they were ready to pass out, but they endured for hours. 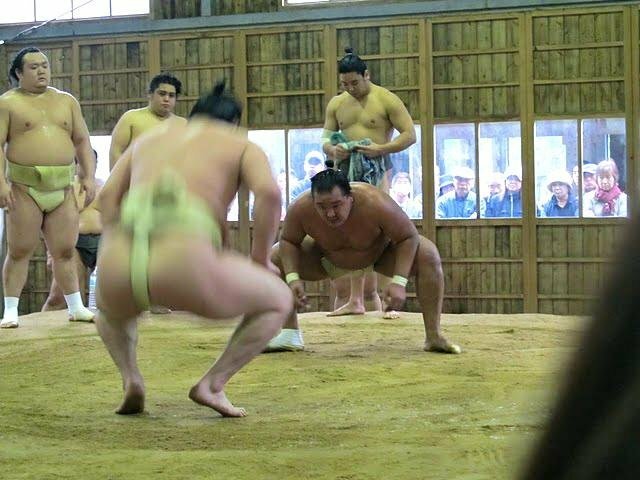 The highlight of the day was when the highest-ranking contenders appeared. I didn't recognise who they were at first, but our teacher later revealed how lucky we had been. 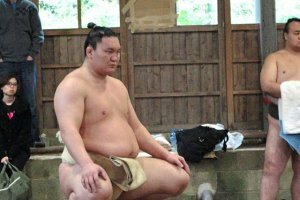 One of them was Hakuho, who had been promoted to the highest sumo rank—yokozuna—in 2007. 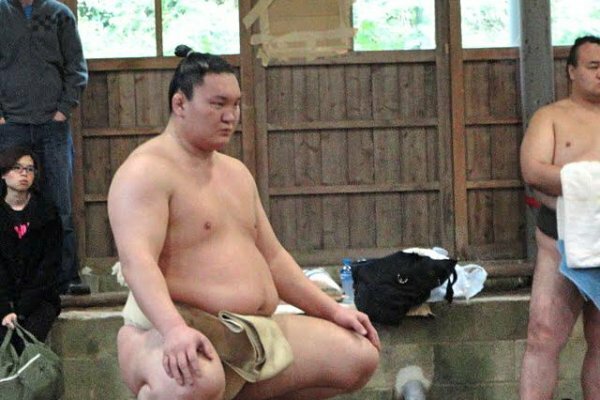 He also has the second-longest winning streak in sumo history, so imagine how I felt when I found out who I'd seen. It was amazing to see this professional get up on stage and show the underlings how it was done. 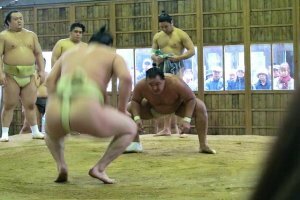 His opponent, another top wrestler, was knocked to the ground several times. This no longer looked to me like a battle of the diapers. It was a battle of the titans. 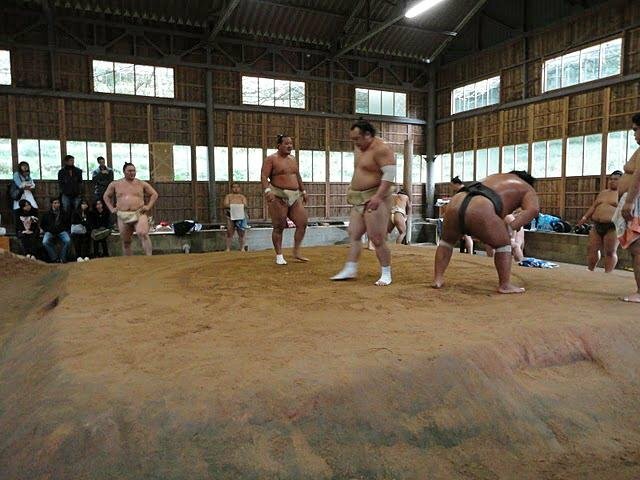 This training ground becomes active during the weeks preceding the Kyushu Basho held in Fukuoka each November. 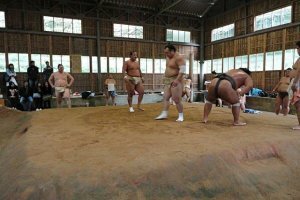 Sumo stables travel to the tournament area well before competition starts, and throughout this time you might glimpse wrestlers walking the streets in the evenings after practice. But visiting a stable is a behind-the-scenes experience on another, more intimate level. 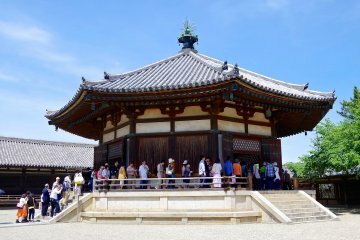 There were other tourists watching as well as my class, but most people would have either been there by invitation or booked a Dazaifu tour through the Fukuoka or Kyushu tour companies. 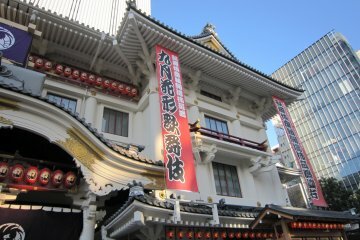 I was born in Osaka, to a Scottish mother and a Japanese father. Lived there for 3 months, then moved to England for 2 years. After that I lived in Düsseldorf, Germany, for 5 years, then moved back to England. In 2010, I spent a year at Kyushu University, Fukuoka. 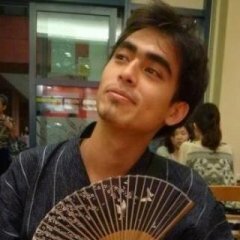 As well as contributing to JapanTourist, I'm currently working in UK-Japan trade, Jpn-Eng translation and democracy promotion. I'll eventually return to Japan to teach English. 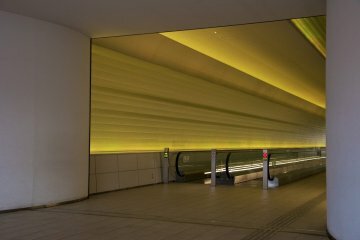 While in Fukuoka, I enjoyed heading out to town to either Xaymaca or Bourbon Street (my 2 favourite bars), slurping on Hakata ramen at a yatai and cycling around the quiet rural areas. 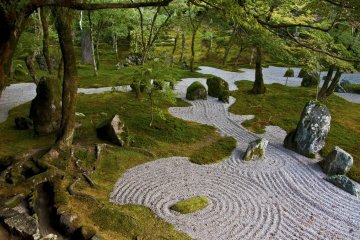 Japan has always been special to me and Fukuoka is like a second home. Although I'd like to see Fukuoka remain the same (not too quiet, not too busy), I want everyone to go and experience how amazing it is. I look forward to sharing my many adventures of Fukuoka. 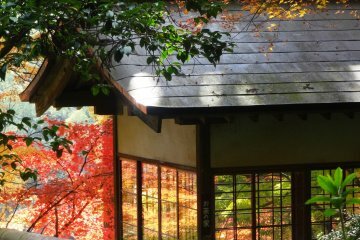 ADDITION: I recently moved to Ibaraki Prefecture so expect to see plenty on Ibaraki added to my memories of Fukuoka.